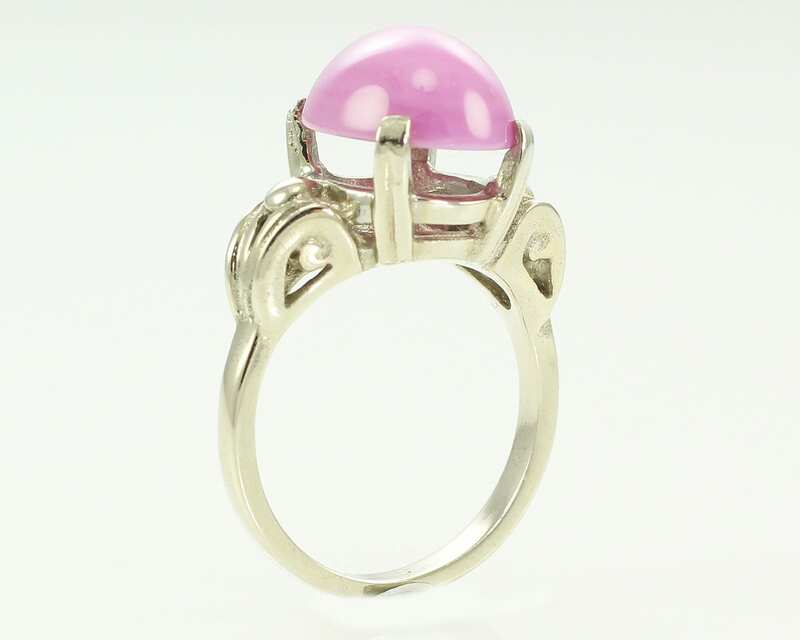 Art Moderne 14K White Gold Linde Pink Star Sapphire Ring. 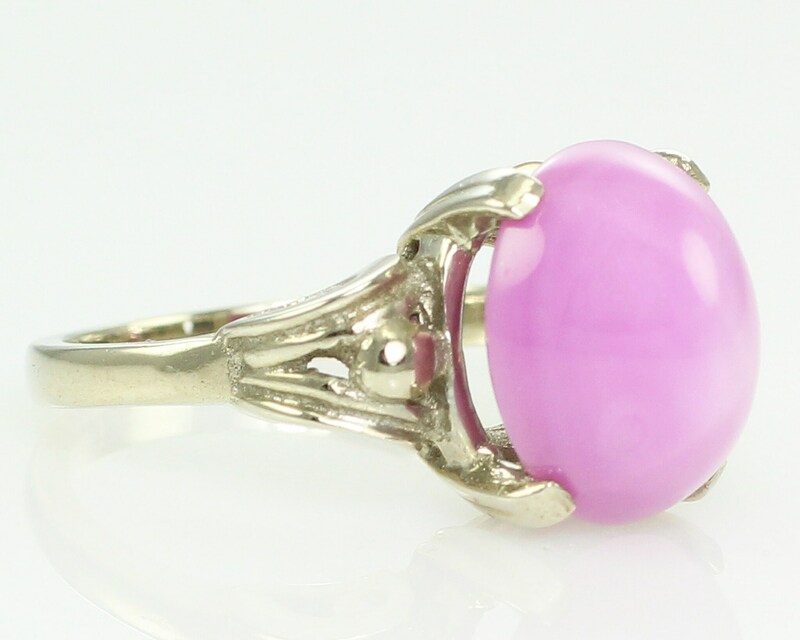 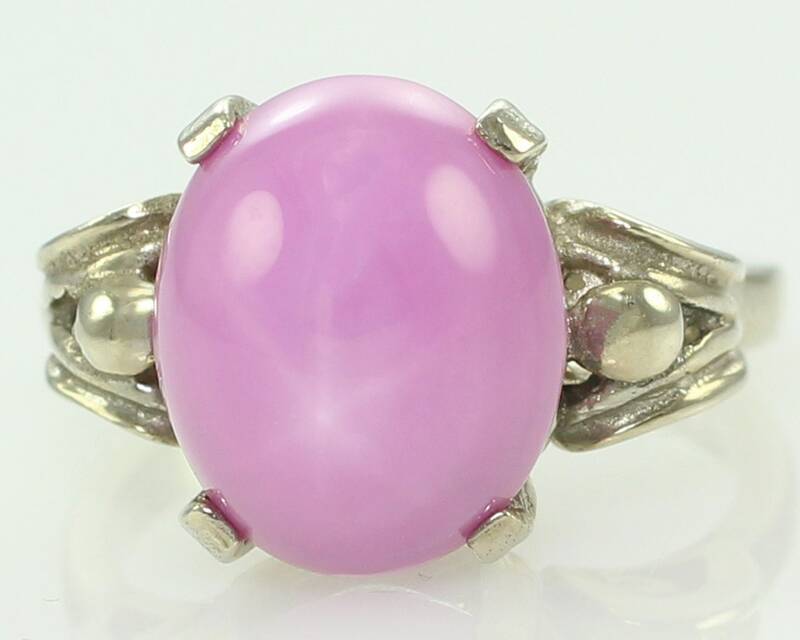 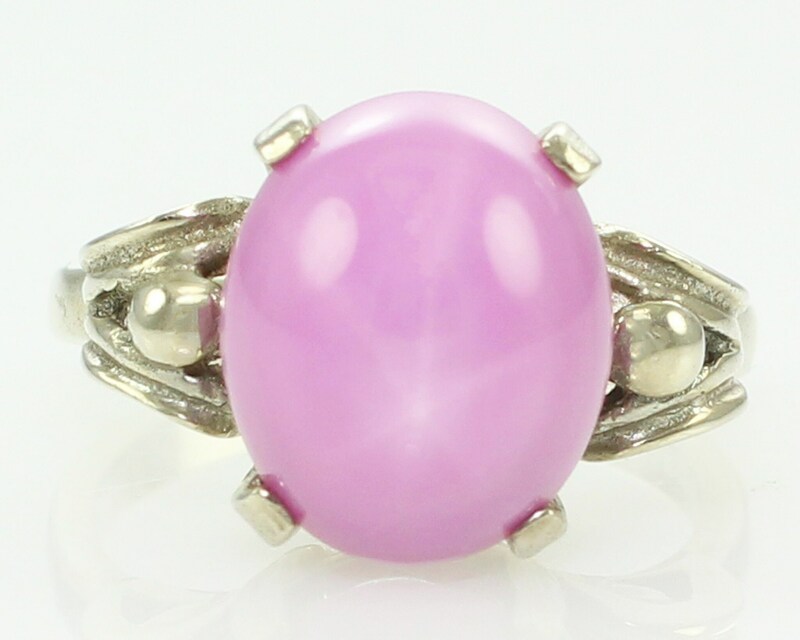 Made about 1950, this ring features a 6.5 CT pink lab created star sapphire made by Linde. 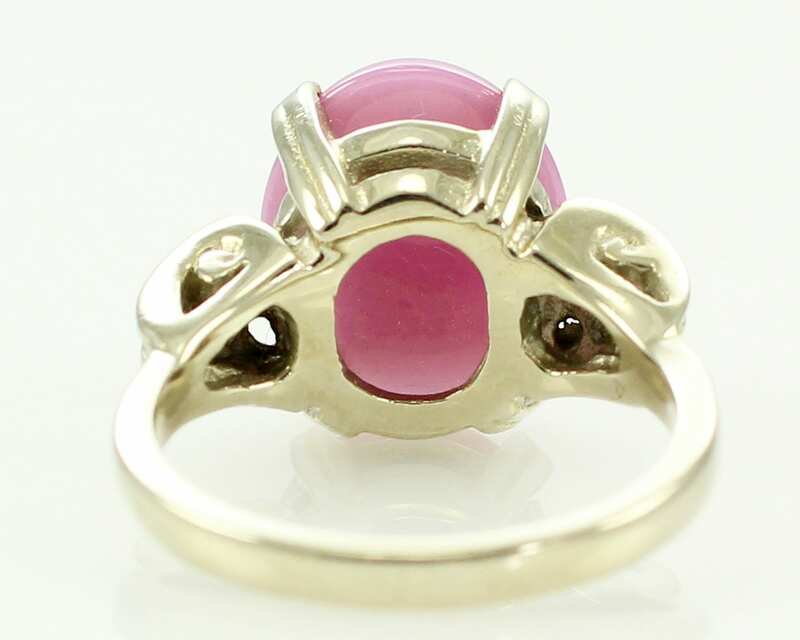 The modernist ring has bold curvaceous design with a four prong raised head for the oval cabochon. 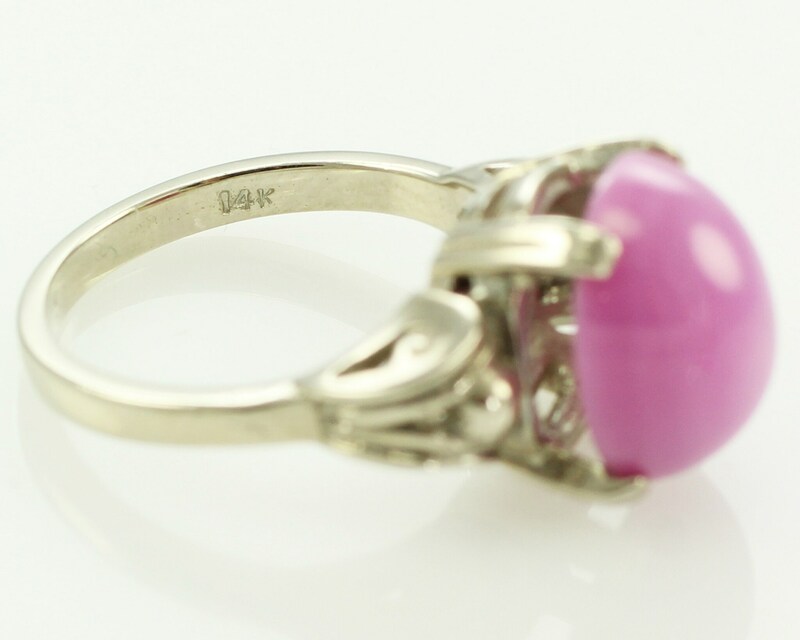 The ring is marked 14K. 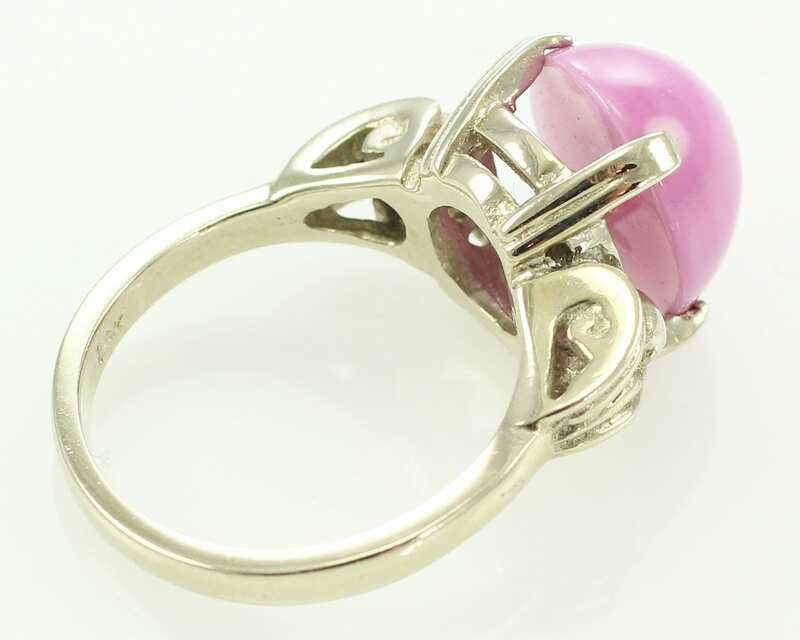 The head measures 11.9 mm wide and is 11.75 mm high. 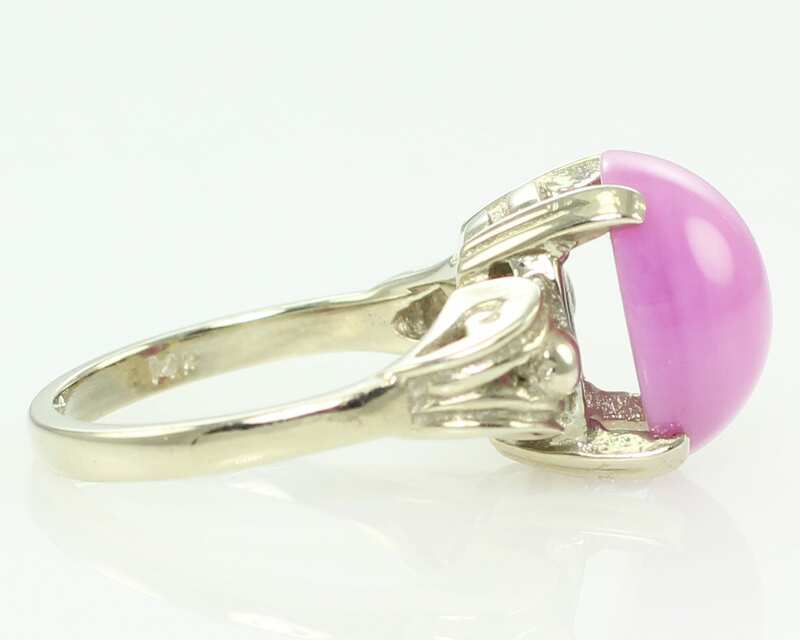 The shank tapers to 2.1 mm at the reverse and the ring is a size 5.5. 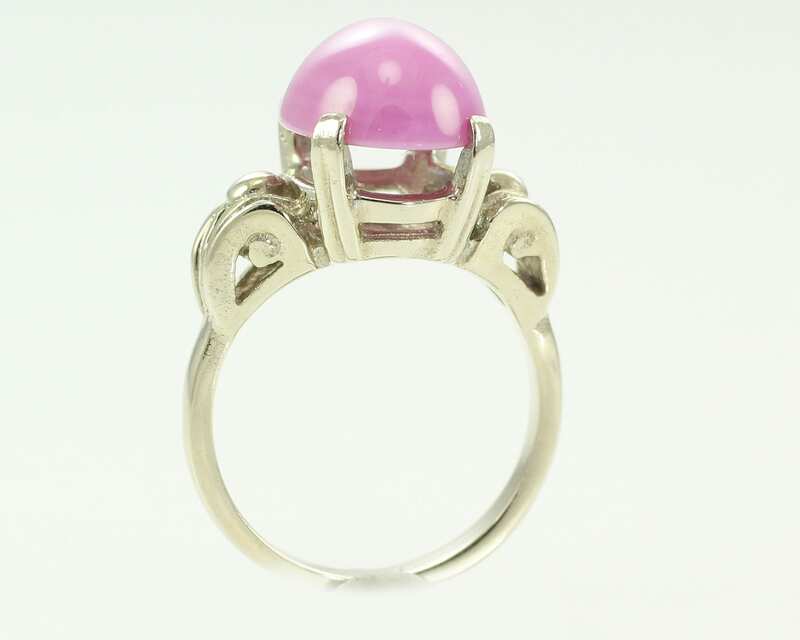 MEASUREMENTS: The ring is 11.9 mm at the head, with a height of 11.75 mm.